ZeniMax Online, the creator of The Elder Scrolls Online, has revealed the new player vs. player mode. player that will host its massive multiplayer production. This will be called Crazy King, and will be available to all owners of the game at no cost, making an appearance on an undetermined date of this year. In relation to their composition, players will have to capture a point that will randomly move along the entire map, forcing users to maintain a balance between mobility and versatility. As well let him see its name, it will be a constant struggle for the control of an extension of ground, nevertheless, more specific details still have not been shared, although the company emphasized that will arrive in the Update 16 next to corrections of bugs, balances and changes in game performance. On the other hand, in relation to the following DLC of the game, Clockwork City, was specified that will revolve around a conspiracy carried out by the Daedric, which will be erected like an independent history. Also, will have a magnitude of missions similar to the contents of the Dark Brotherhood and the Thieves Guild, although it will provide a new test - which will consist of groups of 12 players opposing 3 mechanical bosses - shorter than their counterparts. 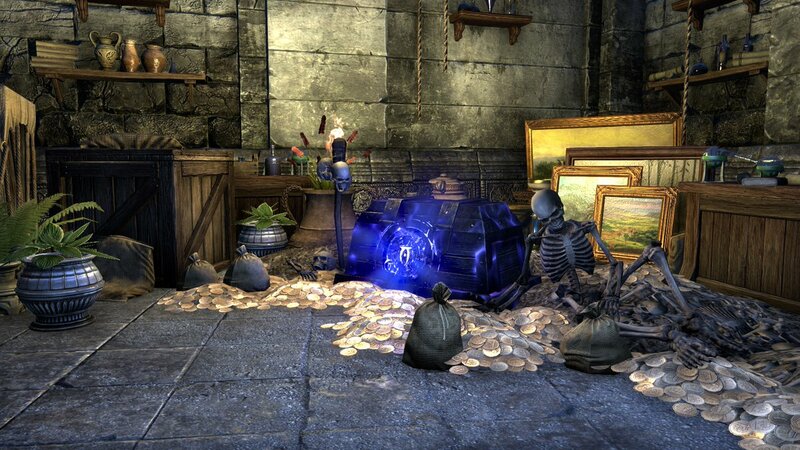 Ultimately, it is important to note that players will also face two new World Bosses and will venture into two new mini-dungeons, concluding with the series of additions that, although we do not know when, will further increase the vast universe of The Elder Scrolls Online.